Begin with brushing on a coat of rubbing alcohol to soak the canvas. Add the ink and spread in patterns. 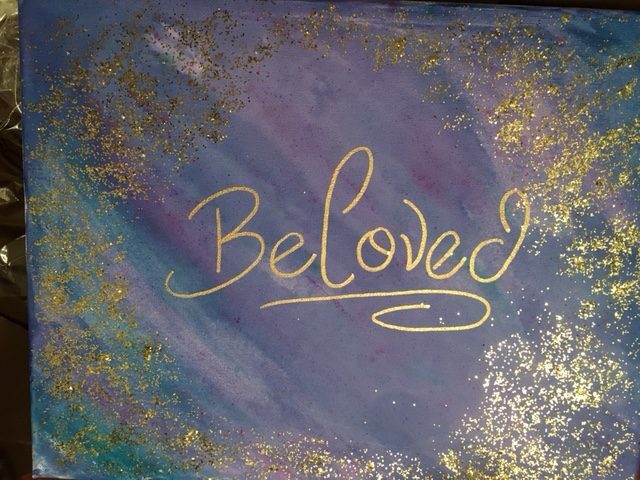 Let dry overnight before adding text with a gold paint pen. 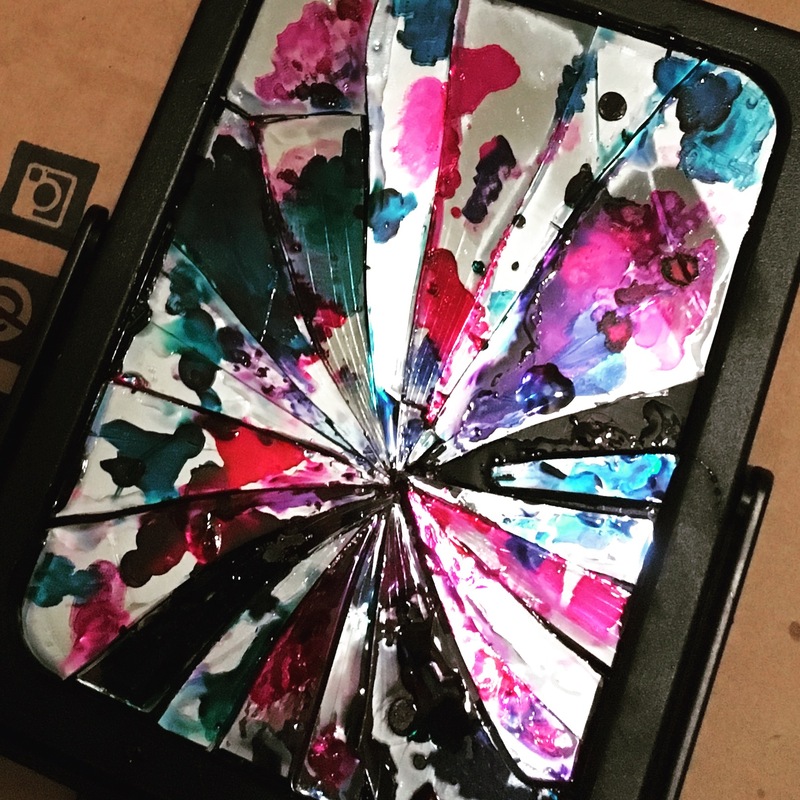 Let the glue dry or leave overnight, then drip alcohol inks onto the mirror. Only attempt if you are experienced enough. 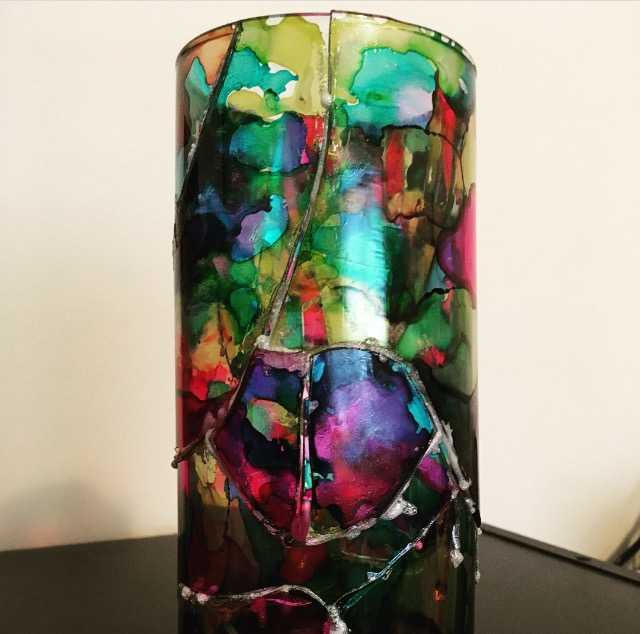 After glass has shattered, carefully use alcohol inks to color the glass. Spend time putting the puzzle pieces together before attempting to glue it together. Glue in layers as you rebuild the original figure, let glue dry overnight before adding the next layer.